Two pieces of art which featured in a major street art festival in Aberdeen have been named among the most popular in the world in 2017. 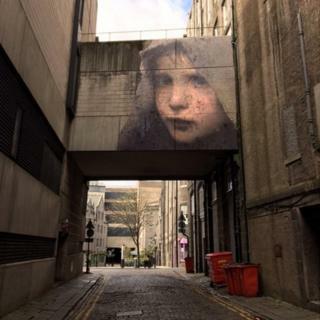 Nuart was successfully introduced to Aberdeen in April for the first time. An image of a young boy by Julien de Casabianca is featured in fourth place out of 15 in the list compiled by the Brooklyn Street Art (BSA) organisation, which monitored social media activity. A mural by Add Fuel is listed in 14th place. Adrian Watson, chief executive of Aberdeen Inspired which was behind Nuart in Aberdeen, told BBC Scotland: "I am astounded, delighted, but not necessarily surprised - something special arrived in Nuart." The Aberdeen event will return from Thursday 12 April to Sunday 15 April next year. Nuart has taken place in Stavanger, Norway, since 2001. Video Could Banksy's city rid itself of graffiti?